I'm sort of over the copper thing now, and instead getting really into brass. 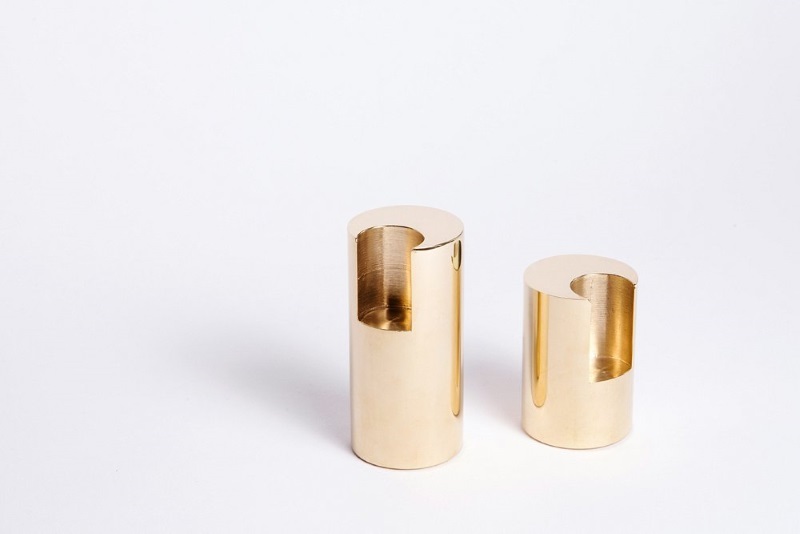 These candle holders are the work of Norwegian-born, London-based designer Kim Thome, simply but aptly named 'Lump'. 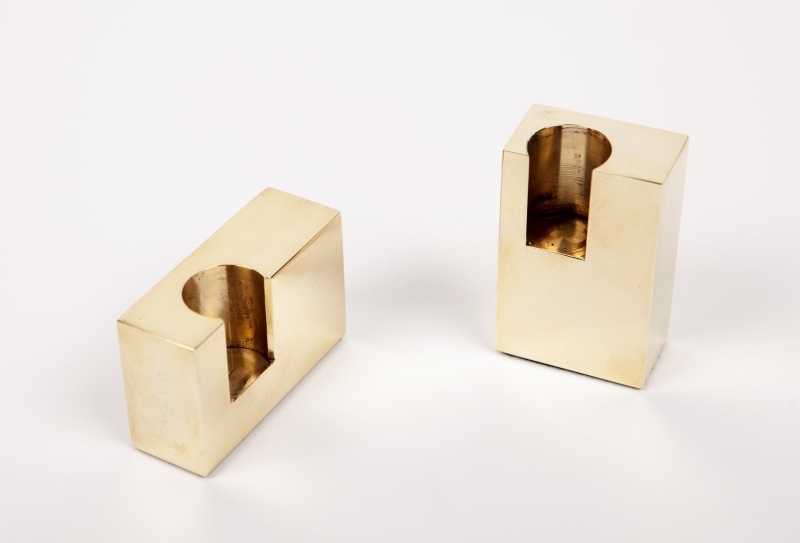 They're available either as two cylinders or two rectangles, all with an equally-proportioned hole to hold a standard tall candle stick. They look like they're barely clinging on to the base of their candles, but I'm informed that they're reassuringly weighty and definitely won't fall over. At £90 for two, these are a long way out of reach for me. If you like them but don't have the budget, you might like to check out these ones from FactoryTwentyOne instead. Something for everybody!